Is this the type of auction you want to patronize? Proxiblog cannot speak for you, but here is its opinion. This lot has a reserve. The photo shows an 1881-O but describes it as an 1881 Morgan. 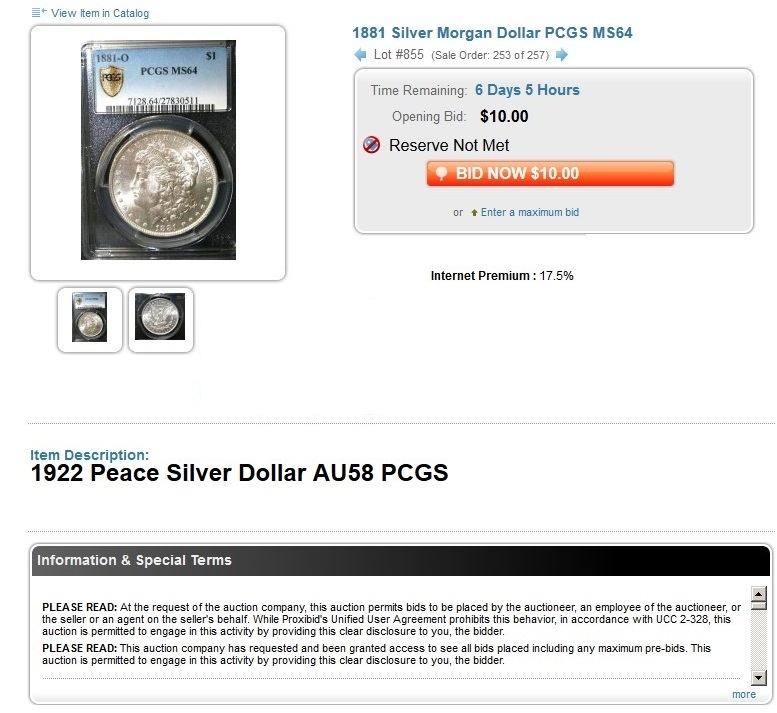 The description says it’s an almost uncirculated Peace dollar. The Proxibid event allows the auctioneer to see maximum bids and raise them at his discretion. In addition, the house charges a 17.5% buyer’s fee. It seems the house can do more for the online-buying audience. What is your opinion?